If you think that you have a great relationship and do not need any couples counseling, you may be right, but that is also the big myth around couple’s therapy. A relationship does not need to be in turmoil for a couple to seek couples counseling Houston. Having a partner that agrees with your decision to seek help with a professional couples or family therapist is ideal, but what if your partner does not believe in counseling, or they feel too angry or hopeless for the relationship to ask for help? When you decide to go through couple’s counseling, you may be seeking changes in your relationship dynamic or ways to improve your situation. When one partner suggests seeking counsel with a professional therapist, often the recipient of the suggestion will not be well received. The simple reason is that the other partner may get defensive, feeling like they did something wrong to warrant a recommendation for professional help. There is no blueprint to persuading a partner to join you in couples counseling, but here are some encouraging tips that you can use to strategize the most effective way to get him or her on board with your interest in getting help. If you are concerned about how well your partner will receive your interest in seeking couples counseling, you can start by trying to help your partner understand your need for self-improvement. Try to attend therapy on your own first to show that you are truly serious and committed to a self-improvement process. Reading books, and finding online materials to share with your partner about couples counseling can help your partner see the effort you are making to improve your relationship with them. Your focus on your change can encourage them to take an interest in starting their self-improvement process. People avoid couples counseling for fear of it being ineffective in facilitating real changes in their relationship or their partner. By pursuing personal growth and making visible changes in yourself first, your partner can see you as an example of how therapy can be of use to your relationship. Share with your partner all that you learned about yourself and the growth you have, and you will make couples counseling much more comfortable to undertake. When therapy and counseling come to mind, people think of mental breakdowns, emotional outbursts, and overall problematic behaviors. As such, your partner will feel that something is wrong with them when you suggest couples counseling. It is easy for them to get defensive and think that you are attacking them, so expect resistance. To minimize the defense mechanism your partner may have against your recommendation for couples counseling, let them know that you are the one that wants to change the way you are in the relationship. By asking for their help in your self-improvement process, you allow your partner to warm up to the idea of getting professional help because they are there as a support to you. Consider asking for help or a favor from your partner to accompany you to your therapy sessions. Sometimes, we minimize people’s affinity to want to help us when we display signs of need. However, asking for support may be the best means of getting your partner to open up to the idea of couples counseling. An alternative strategy to suggest couples counseling to your partner is to focus on the idea of improving your relationship. You can ease the notion of couples counseling to your spouse by letting them know that you intend to develop personally and you want to make things better. Let your partner know if you have tried to make things work your way, and acknowledging that he/she has tried in their way as well, and that couples therapy can further your marriage or relationship in a meaningful way. If your partner is apprehensive or uncomfortable with sharing with a counselor in person, there are alternatives such as phone consultations to make the situation less stressful for him or her. The aim, you can explain, is to increase insight into your relationship to identify where struggles can stem. Let your partner know that by working with a licensed couple’s therapist, you can better prepare for future obstacles. It is a healthy way to fortify a healthy relationship and making your marriage or relationship a priority. 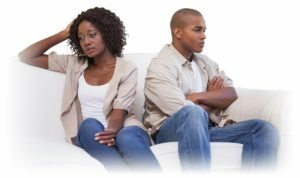 Suggesting couples counseling to your partner can be miscommunicated as being divisive in your relationship dynamic. Your partner may think that you only see problems and may struggle with understanding why therapy is needed. Help your spouse know where you are coming from and stress on coming together in solidarity with professional help versus being separated in overcoming difficulties. Make couples counseling a shared idea by asking your partner questions that will open them up to the idea of couples counseling. Your Houston counselor is a neutral party that does not take any sides to a couple’s session, make sure your partner understands this going into a counseling session to maintain your togetherness. Be open and communicative about how much you believe that couples counseling may help and promote the hope you have for a more fulfilling future together. Leaning towards the positivity of working through your struggles as a couple is what may steer your partner in the direction of being supportive of professional help. Mention that even if things have been rough, you have high hopes for the relationship to let him/her know that your relationship with them is a priority in your life. There are many reasons someone may not want to get help with couples counseling, such as feeling embarrassed, feeling like you should be able to solve problems on your own, and financial reasons. Persevere and know there is hope for whatever obstacles you may come across. If your relationship is in distress, or you just could use a little help around particular issues, you can contact us at Grief Recovery Center for more info or to schedule an appointment today.